“Come on Australia! You can’t lose this one.” My work colleague’s face was a picture of hope and despair. She desperately wanted the Aussies to beat England in the Ashes cricket, but she was clearly worried at their capitulation. It looked as though they were about to completely fall apart. And they did. However, I was surprised at her attitude. Because she is South African, not Australian. So why should she care? Apparently, she has a soft spot for Aussies. Despite living and working in England, it seems as though she has yet to develop affectionate feelings for my country folk. Charmed, I’m sure. Another workmate had the same favouritism for the Aussies. And he is a Kiwi! Aren’t they meant to be bitter rivals? Apparently, he was showing Southern Hemisphere solidarity. I see. 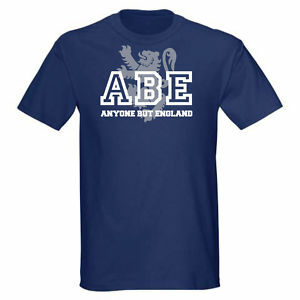 This reminded me of the time when England played Argentina in the World Cup and there were news stories showing drinkers in pubs in Scotland wearing t-shirts stating ‘ABE – Anyone but England’; and these were actually on sale in a major retailer before it decided to remove them due to bad publicity. Apparently other countries in the United Kingdom also have a similar bias towards any team playing England. We love you too. So what is behind this anti-English sentiment? Is it jealousy? It’s certainly true that England’s larger population and greater financial backing gives it a sporting advantage over fellow English speaking rivals. Yet it is not as though England has exactly set the world on fire – only one rugby world cup, one football world cup and one twenty20 cricket world cup is quite a poor showing for our major sports. So maybe we should be pitied! Yes, we’ve won recent Ashes tournaments, but they are only two team series! Maybe the perceived arrogance of the English is something that riles our English speaking competitors? It’s certainly true that the footballers are commonly seen to have egos the size of their pay packets – exceedingly large. Quite possibly the expectations of the media and supporters have been out of proportion and lacking humility. That always irks people, quite rightly. However, I find it hard not to take the ABE mentality personally. How can I not be offended that people who I regularly mix with in a professional and social environment take delight in a defeat for my countries sports teams? Why can’t they be neutral, like I would be when Australia play South Africa? I wonder whether people in the USA or Canada hold similar views, or whether the lack of competitiveness in our respective sports that matter, mean that there isn’t such an anti-English sentiment. Unless we play each other of course. In which case, it would seem that the ABE attitude is borne out of bitterness at previous results. I think that Australians may experience some schadenfreude towards English national teams, so maybe that is the reason why. Maybe it’s time to let go? Support your own country’s teams and we’ll do likewise. Friendly rivalry is a good thing, but an over-the-top attitude verging on hatred is rather sad. At least these people have some sort of opinion about ‘us’ (I just cringed when I wrote that). Think about the poor Nagorno-Karabakh Republic, over there. Hmm, I’d rather they shook the chips off their shoulders!